Mariners reliever Juan Nicasio is scheduled to undergo season-ending knee surgery, Ryan Divish of the Seattle Times tweets. It seems the procedure will be “cleanup surgery, nothing catastrophic,” Corey Brock of The Athletic adds. Nicasio has dealt with right knee issues throughout the season and endured multiple stints on the disabled list as a result. 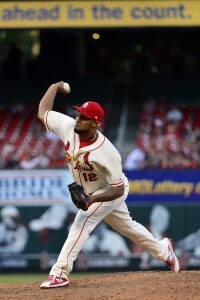 The 31-year-old last pitched Aug. 2, when he allowed two earned runs in two-thirds of an inning in a loss to Toronto. He’ll wrap up his season with a hideous 6.00 ERA across 42 innings, though FIP (2.99), xFIP (3.17) and SIERA (2.58) suggest Nicasio deserved far better in the run prevention department. Nicasio logged excellent strikeout and walk rates (11.36 K/9, 1.07 BB/9), to his credit, and he was victimized by an unusually high batting average on balls in play (.402) and an abnormally low strand rate (58.1 percent). Assuming Nicasio returns at full strength in 2019, the Mariners will hope he experiences some positive regression during what will be a contract year. Seattle signed Nicasio to a two-year, $17MM guarantee in free agency last winter, but the deal obviously hasn’t panned out thus far for the club. DECEMBER 21: ESPN’s Jerry Crasnick has the details on Nicasio’s contract. The reliever will earn $7.5MM in 2018 and $9MM in 2019, with a $500K signing bonus. He can earn up to $4MM in incentives, which are based on games finished. DECEMBER 20: Nicasio’s signing has been announced. DECEMBER 13, 5:46pm: The deal’s worth $17MM, Bob Nightengale of USA Today tweets. 4:19pm: The Mariners have agreed to a two-year contract with free agent reliever Juan Nicasio, pending a physical, per Ken Rosenthal of The Athletic (Twitter link). Nicasio, a client of Reynolds Sports Management, is the latest reliever to come off the board during the Winter Meetings, where a robust market has developed for bullpen pieces. The 31-year-old Nicasio, a former starter, drew interest from several teams on the heels of his best full season as a reliever, in which he spent time with the Pirates, Phillies and Cardinals. The right-hander combined for 72 1/3 innings across a National League-high 76 appearances with those clubs and recorded a 2.61 ERA, adding 8.96 K/9 against 2.49 BB/9 and a 45.6 percent groundball rate. Dating back to 2014, the first season in which he began garnering experience as a reliever, Nicasio has tossed 205 frames of 3.38 ERA ball while registering 9.99 K/9 and 3.42 BB/9. The production Nicasio has offered during his time as a reliever would be a boon to a Mariners bullpen that finished with middle-of-the-pack rankings in ERA (13th) and fWAR (16th) in 2017. The M’s have since lost one of their top relievers from last year in Emilio Pagan, whom they traded to the Athletics for first baseman Ryon Healy last month. But other than Nicasio, there are still several appealing late-game options on hand in a group that includes fellow righties Edwin Diaz, Nick Vincent, David Phelps and Tony Zych and southpaws Marc Rzepczynski and James Pazos. The Brewers have chatted with the Rays about their potential rotation trade pieces, according to Tom Haudricourt of the Milwaukee Journal-Sentinel (via Twitter), who cautions that there’s no indication to this point that “any traction was made.” It’s not immediately clear which Tampa Bay hurlers have piqued the interest of the Milwaukee front office, though surely they’d have the trade pieces necessary to swing a deal for just about anyone. Chris Archer remains the big name to watch, though we don’t yet know whether he’s truly available. The Brewers could conceivably have interest in other pitchers, too, including veteran Jake Odorizzi, but it’s all speculation at this stage. Meanwhile, the Brewers are said to have interest in righty Jesse Chavez, Haudricourt also tweets. We heard yesterday the veteran swingman was likely to find a new home this week. Veteran closer Fernando Rodney has met with the Rangers and Twins, per MLB.com’s TR Sullivan (via Twitter) and Mike Berardino of the St. Paul Pioneer-Press (via Twitter). 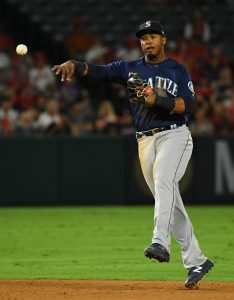 It’s not clear at this point how serious the interest is, though Rodney might conceivably be an option for either club, both of which have largely unsettled ninth-inning plans. Another interesting possibility on the rotation market is Royals lefty Danny Duffy. He has drawn interest from the Cubs, per Robert Murray of Fan Rag. Indeed, K.C. has been contacted by rivals on Duffy and a few other notably interesting assets, MLB.com’s Jeffrey Flanagan tweets. It’s entirely unclear at this point what kinds of scenarios might be pondered on Duffy, but the Royals will surely want a significant return for a player they only recently extended. His contract runs through 2021 and promises him $60MM. While a DUI arrest and elbow surgery introduce some uncertainty into the situation, from a pure on-field perspective Duffy remains a valuable asset as he nears his 29th birthday. The Mets are among the organizations with interest in free agent righty Juan Nicasio, according to Tyler Kepner of the New York Times (via Twitter). The 31-year-old pitched quite well throughout 2017, both before and after an odd series of August transactions. He ended the year with a 2.61 ERA over 72 1/3 innings, with 9.0 K/9 and 2.5 BB/9. We’ve heard some possibility that the Nationals could have interest in free agent righty Jake Arrieta, and ESPN.com’s Jerry Crasnick tweets that agent Scott Boras is working to sell that potential fit to the team’s ownership. Then again, Chelsea Janes of the Washington Post characterizes the Nationals’ interest as “tepid” in a tweet. The division-rival Phillies are reportedly also a possibility, along with several other teams, as we covered this morning. Given that the Nats have an opening in their rotation, it isn’t at all surprising to hear that Boras is pushing for it to be filled by Arrieta; after all, his connection to the organization’s ownership is quite well-established by this point. Of course, adding yet another high-priced starter would carry some pretty notable risk for the organization, so it stands to reason that the club will explore other possibilities before deciding whether to join the pursuit of the 31-year-old Arrieta. Crasnick also takes a broader look at Arrieta’s still-developing market, including an extensive examination of Boras’s marketing strategy. While there is action at the top of the pitching market, the Blue Jays seem to be taking a patient approach, as Ben Nicholson-Smith of Sportsnet.ca writes. While GM Ross Atkins says there’s a lack of depth in the rotation market, he also has indicated no interest in pushing hard to strike a deal. It seems the organization’s inclination remains to seek value in bolstering the rotation depth. For the Diamondbacks, meanwhile, the team may at least be preparing to consider deals involving some fairly surprising players. Nick Piecoro of the Arizona Republic runs down the team’s options for trade candidates who might free up some payroll space and enable the team to achieve future value. At the top of the list are center fielder A.J. Pollock and lefty Patrick Corbin. Meanwhile, the D-Backs are certainly still looking to field a competitor in the near term as well. They are one team with some level of interest in reliever Seung-Hwan Oh, according to Murray. Oh was not able to match his compelling MLB debut season in 2017, but still posted 8.2 K/9 against 2.0 BB/9 while carrying a 4.10 ERA over 59 1/3 innings.